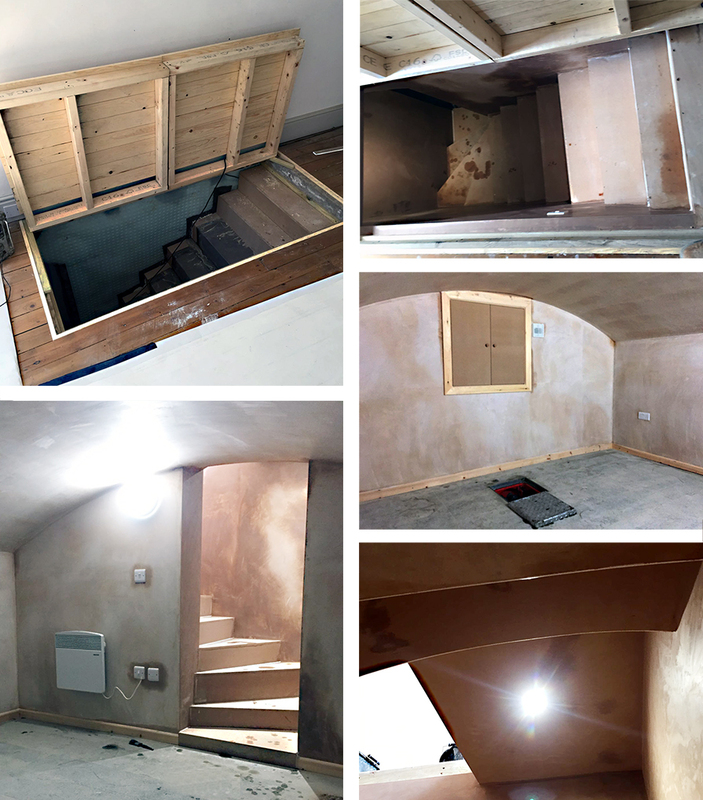 Man cave basement conversion created a room so my client could chill out with his family and use as a cinema room. This basement was a fantastic solution to needing more space and represented exceptional value. Before we started my client was struggling with this basement room flooding. So he fitted a pump himself that was failing he just in the end did not want the hassle of the basement flooding so he called Watertight Homes in. 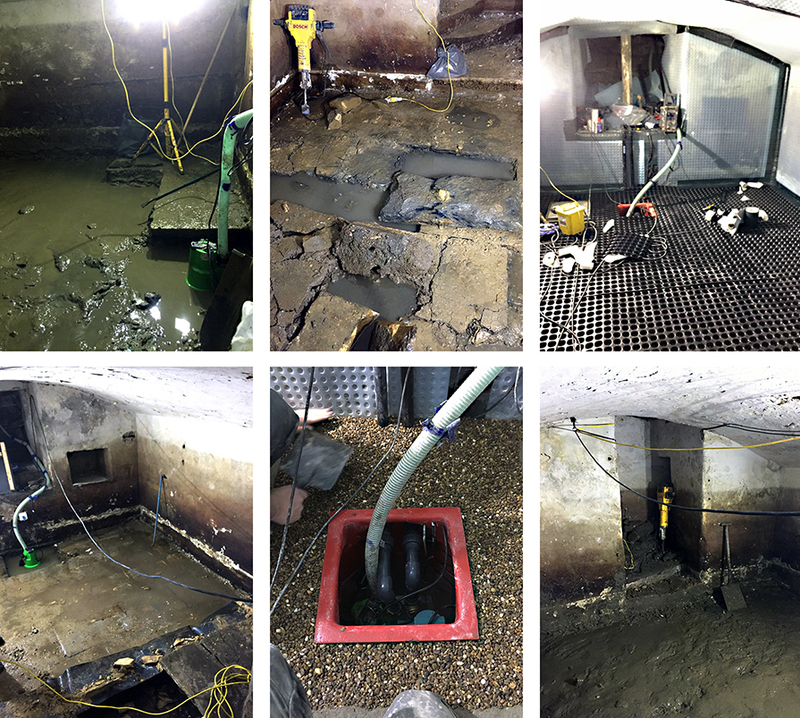 After my site meeting and getting the history of how many times this basement was flooding I put a solution in place to make a watertight basement to BS8102. Our first job was to protect my client's furniture and flooring 2nd was to keep a pump running in the (man cave) so we could start work. Then we started removing the Yorkshire stone slabs and dropping the ground levels after that we put in the new water-proof concrete floor now we had a base to work on. Tanking started walls ceiling and floor with fitting drainage channels running into the new sump chamber. On this man cave my client did not want any failures with pumps so we fitted a battering back up system 2 sump pump with a battery back up system so if the power was to fail the battery back up would work till the power come back on. 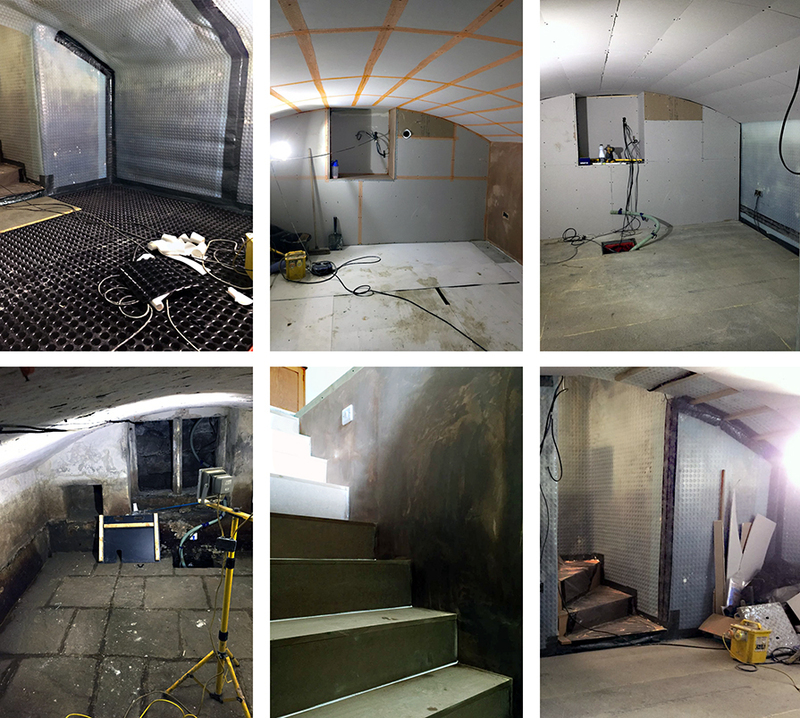 Once the water-proofing works completed we started the fit out first fix electrics plaster boarding and joinery. What more can I say on this brilliant project my client is very happy with our work. Here is a video showing the Man Cave work near completion. A real asset to the property and a lot of fun for the future too.